This cartoon is in the March issue of Prospect. It was inspired by a story in the news a while back about the new EMI boss insisting that his acts work harder. 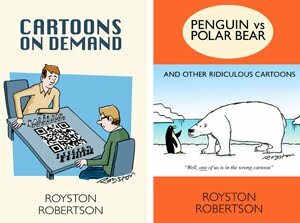 But the cartoon was non-specific enough so that it has "legs", unlike some topical gags. 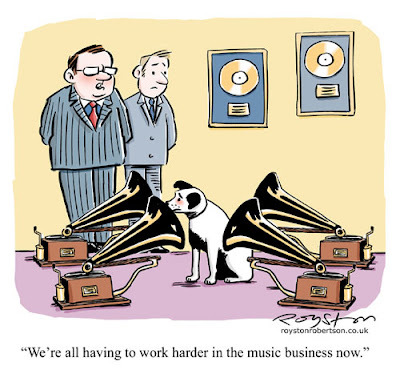 Bizarrely, this is the third "HMV dog" cartoon that I've had published in the last six months or so! Click on "HMV" under Labels below to see the others.